Whether it is your business card, letterhead or a brochure, the first thing that gets noticed is your logo. A logo stays with a business for a long time. It does not (and should not) get changed often due to rebranding costs, therefore rushing your logo design could prove to be a false economy. Getting your logo design right should be one of the fundamentals of your brand strategy. We are one of the leading web hosting company in India offering both Shared and Reseller Hosting services at incredibly low prices without compromising on website security and speed. We provide all our customers and resellers with a state of the art control panel to manage all aspects of hosting services.Some of the technologies our server supports include Asp, Asp.net, PHP, MySQL, MS SQL, AJAX, Perl, Python Php & MySql, etc. Search Engine Optimization (SEO) is the process of increasing the amount of visitors to a website by ranking high in the search results of a search engine. SEO services of web site to build up your corporate identity, increasing your product presence across the world, and make to stay ahead of your competition. 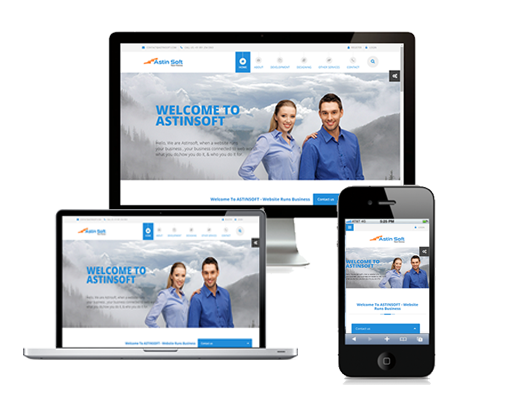 Responsive Web Design for All types of Websites. Responsive Web Design which suppoerts all major web Browsers.